The Mudchute Agricultural Show is back for 2018! The 2018 Mudchute Agricultural Show will take place on Saturday and Sunday, the 4th and 5th of August! 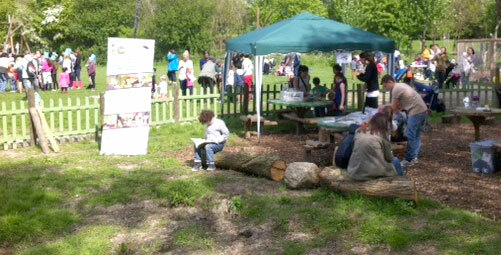 There will be lots to discover and explore as well as events and competitions where you can join in the fun! 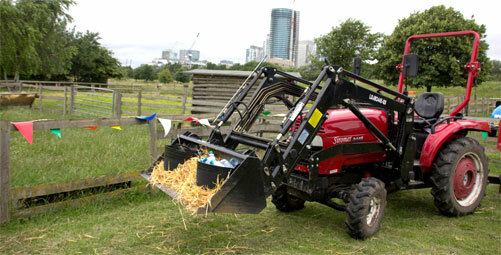 Mudchute’s Agricultural Show is proud to showcase some of the rarest and most ancient breeds of sheep in England. The Boreray, North Ronaldsay, Shetland and Soay will all be competing in the Primitive section of our Show. These small hardy sheep originate on the Scottish offshore islands from which they take their names and are amongst the smallest sheep breeds. 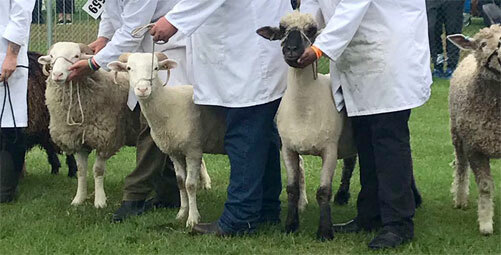 Much larger breeds such as the Oxford Down, Wiltshire horn, Dorset Horn and other historic British breeds such as the Portland (popularised in the reign of George III) will be represented. The Southdown will also be competing in the Downland/Closewool section. Galway and Black Wenleydales start the show in the Longwool classes. In the Hill and Heath classes, the very striking Jacob sheep (a black and white horned breed introduced to Britain from Middle East in the 1700's) will be found alongside the Lonk sheep of the Pennines and the Whitefaced Woodland from the same region. The best sheep of each breed will go on to compete on Sunday in the Supreme Championship for the Best in Show title. Also on Sunday, a number of other classes for all breeds will be held, in addition to classes for City and Community Farm sheep only. Mudchute Agricultural Show is excited to welcome riders from all over the UK for our very own Equestrian Show! 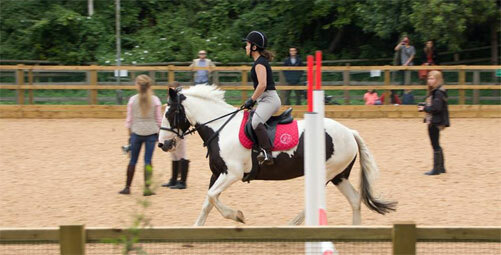 We are looking forward to sharing our passion for horse riding and put on a show that we hope will inspire you too. In addition to the programme below, we'll have farrier demonstrations by Harry Morgan and a photo booth with our Shetland Ponies. 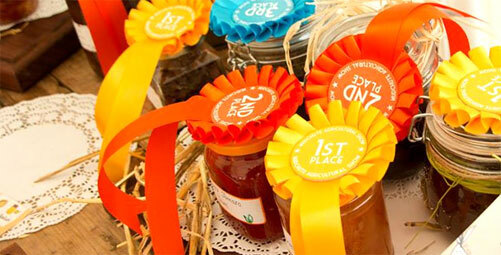 Cakes, Jams, and vegetables galore will grace our Fresh Produce marquee on the 4th of August! A multitude of goods from the community and by the community will take part. We are proud to host hanging baskets and vegetable boxes from Cubitt Town and George Green’s Schools, as well as entries from green thumbed enthusiasts from within and around London. Would you like to get your bake off / grow off and take part in our competition!? Come and throw wet sponges at someone you would like to nominate to put in the stocks. How could you resist the chance to get your own back on some one? So let’s soak the sucker, Drown the Drip, you won’t have any regrets, if they are drenched to the bone or shivering it’s only what they deserve. £5.00 per victim, pay double for them to stay longer. Victims will not be locked in the stocks, but we will be observing fair play, if any victims are found dodging or blocking sponges, they will be locked in and shamed for all to see and their punishment will be decided by the jury, so be warned. Each competitor will be granted two throws of the Wellington Boot for their chance to win a trophy of great standing within the welly throwing world, THE GOLDEN BOOT. 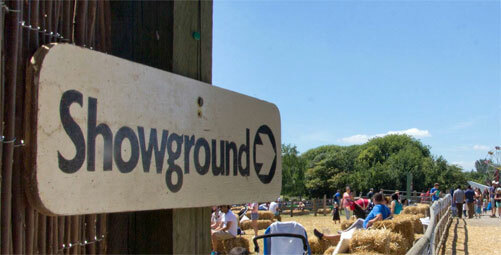 Entry £3.00 per competitor, all proceeds go towards the upkeep of Mudchute’s livestock and grounds throughout the year. 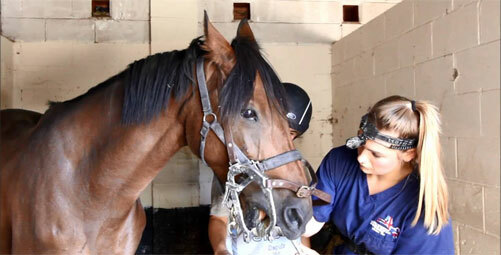 The sport shall be a civilised affair. Fair play, good humour and good manners shall be exhibited at all times. Distance shall be measured in Yards, Feet, and Inches. The standard welly shall be the Dunlop green size 9 non steel toe-cap. 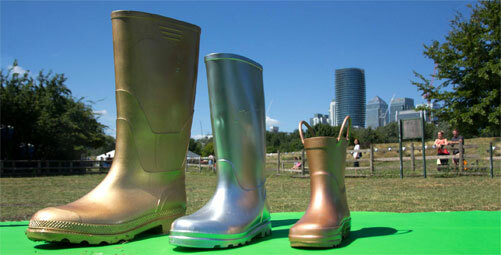 Competitors shall select whether they use left or right welly. No tampering with the welly shall be allowed. A maximum run up of 10 paces shall be allowed. The run-up will end when the competitor reaches the throw line, this is when they need to throw the welly (hopefully). The welly shall be projected using any action of the arm. The use of wind assistance is allowed and should be encouraged, waiting for a suitable gust, is limited to 30 seconds. No artificial or man-made wind is to be used. The Mudchute Agricultural Festival is excited to provide a platform for the public to meet with charities and organisations working for the benefit of our community. Spinners - watch fleeces spun into yarn! 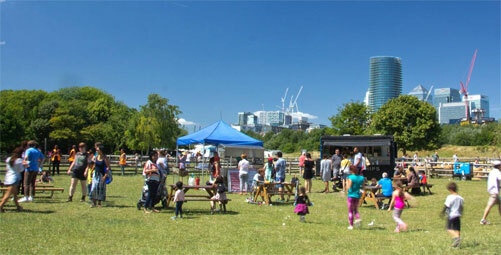 The Mudchute Lower Field becomes and exciting fairground for a weekend! 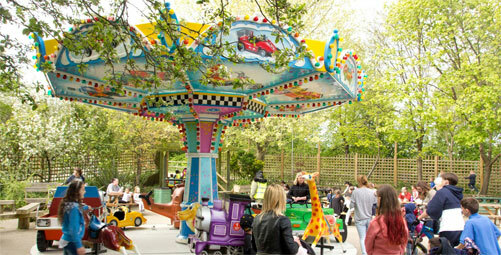 Try your luck in one of the many games and take a spin on the child friendly rides. Donkey rides are available for children from 11am - 1pm and 2pm - 3pm. Please be aware that there is NO PARKING for visitors at the Mudchute. However we are easily accessible by public transportation. The majority of the festival (i.e. Sheep Show, Fairground rides, Games area, Pimms Bar and Food area, will take place in fields that are not accessible via paved routes. Our paved, step free entrances are ASDA entrance and Pier Street entrance. Mudchute Kitchen Pets Corner, Equestrian Centre and the main path are all asphalted and accessible. For further details, see access page. In the event that you are separated, our lost child point is at the Mudchute main office in the main courtyard.